The Las Vegas Strip had long been a parking heaven since none of the resorts were charging to use their parking lots. This had always been very convenient for visitors to be able to ​drive from one property to the other without never worrying about parking. Not only were the parking garages huge but they were all free! 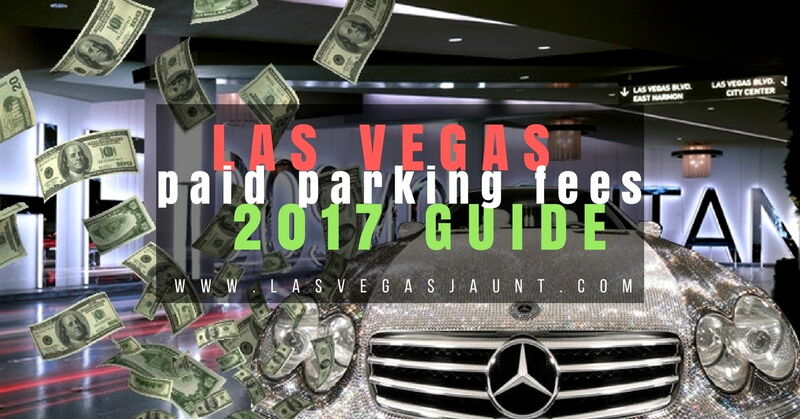 Unfortunately on June 6, 2016 , MGM Resorts (who operates 9 casinos on the Strip) decided to change the rules and started chargin﻿g﻿ for parking! 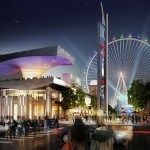 In 2017, MGM's policy was followed by Caesars Entertainement​ (Operating 7 casinos on the strip) and the Cosmopolitan a little later. 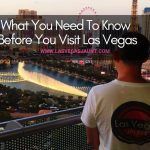 If you are a hotel guest: At most of these hotels you can use your room key to access the parking garage and the fee will then be charged to your room. If you are not a hotel guest: you will receive a ticket while entering the parking and can use the Pay-on-foot kiosks to pay prior to returning to your vehicle. If you have complimentary access due to your Player's Card tier status: Scan your qualifying Player's Card for entry and exit (you do not need to take a ticket). 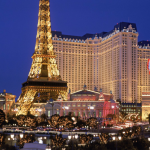 Where to park for free on the Las Vegas Strip? I know where I won’t be staying. Charging hotel guest staying in that hotel? Ridic. Hopefully the smaller casinos will not stoop to this corporate greed. 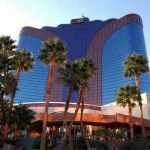 These casinos have raised the prices of almost everything to outrageous proportions: Hotel stay, food, use of the pool, etc. and now want people to pay “hidden” Resort and parking fees. It costs a fortune just to stay in LV for the weekend! And then they want us to gamble? With what? Bring back the “good old days” of free parking (at the very least if you’re a guest at the hotel), cheap hotel prices and food, and no resort fees. I’d rather lose $100 gambling than pay the the same amount to resort/parking fees for a weekend. One comment about this list tho: You have Wynn/Encore listed twice. Once in the middle of the list, and another at the end. With the fees the Wynn/Encore charges (resort, etc. ), I’m assuming the one on the bottom is old and outdated. Good catch for the Wynn, i did update the table when they starting charging for parking in August but forgot to delete the former information. I just updated the list to correct that thank you! If the Mafia was still running Las Vegas there wouldn’t be any charges for parking. It’s the GREEDY CORPORATIONS. I can’t believe a hotel guest has to pay for parking. 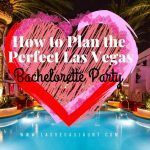 I lived in Las Vegas for nine years I had a ball going dancing, bowling and seeing the many shows around town. I am glad I moved away. Hi, if you stay at hotel (examble monte carlo) and wan’t to use car during the day. Do you have to pay parking everytime you enter parkingslot whit car? Or do hotel take only 24hours cost? Basically if you are staying at the Monte Carlo for example let’s say for 2 nights: during the time of your stay you will be charged 24 hours of parking for every night you stay and you will just use your room key everytime you enter or exit the parking, you won’t have to pay everytime you exit you’ll just scan your room key that will open the barrier. Then when you check out they will charge you 2 x 24hour rate if you stayed 2 nights for example. 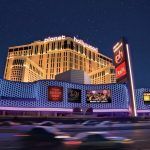 Also the 24 hour parking fee provides you with in-out privileges within the same parking type (self or valet) across all MGM Resorts Las Vegas destinations within the same 24 hour period. Question. If im staying at the MGM and I want to park at Tropicana can I do that??? Yes you can do that since Tropicana offers free parking and is a short walk from MGM Grand! I am traveling for 12 days and want to park my car for free or as cheap as possible. Can I park at one of the hotels that are listed as free? Is there a sage place to park under $10 or on the street somewhere? I am a local and I refuse to pay for parking. I’ve gone to Caesars twice now raced in to try to buy a watch under an hour and have left twice because I ran out of time. Their loss I’m getting it from online screw mgm. I‘m going to Vegas in July and will have room in the Monte Carlo. I‘ll get a rental car at the airport. Can i just drive to the Monte Carlo and take a parking ticket at the garage and show it at the check in? Yes that’s exactly how it works. After your check in you will be able to use your room key to get in and out of the parking garage! Do any of the hotels honor handicapped stickers for a reduced rate to valet?